More than 60 electric mopeds will hit the streets of Greenpoint, Williamsburg and Bushwick on Monday, as part of a new ride-sharing program. 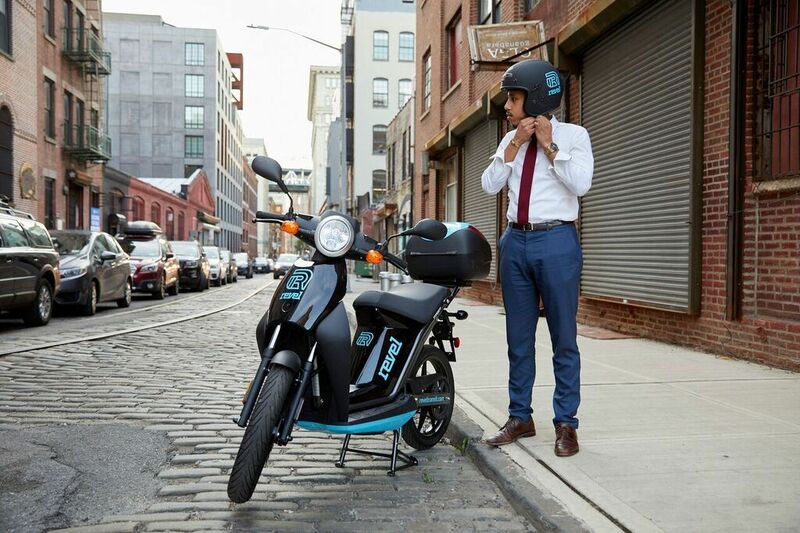 Developed by Revel Transit, the mopeds are available to anyone with a driver’s license and for rides within Brooklyn in Queens, as the Wall Street Journal reported. Through an app, users can find nearby mopeds and reserve one up to 15 minutes in advance. While moped sharing exists in a few other cities, including Berlin and Paris, this is the first service of its kind in New York City. Riders can travel anywhere in Brooklyn and Queens but must return the moped to the home operating areas of Williamsburg, Bushwick and Greenpoint. For now, mopeds cannot cross any bridges into Manhattan, the Bronx or Staten Island, which could result in a fine between $50 and $150. Currently, pricing for the service starts with $4 for the first 20 minutes, with $0.25 per minute after that. Plus, there’s a one-time $25 driver’s license verification fee. New users automatically get two free rides. If registered with special promo code “RevelAndGo” by 8/31, riders will get additional credits. New to the electric moped life? Revel provides free in-person lessons for any newbies. And for safety measures, the company provides two different sized helmets in the rear case and throttles the mopeds to 30 miles per hour.